Albuquerque is in the middle of New Mexico’s Chihuahuan Desert. When I first heard that I was visiting, I wondered what there was to do besides hot air ballooning. But after a week here, I discovered that the city and surrounding area have much to offer. Climbing the Sandia Mountains, eating fantastic food, and staying in beautiful hotels are just part of what makes Albuquerque a memorable destination. Albuquerque is Balloon City, USA. While there, I was fortunate to be able to experience a hot air balloon ride with Rainbow Ryders. My mother and I got up early that morning as flight conditions are best around sunrise. The balloon staging area was a parking lot of a public park, where two large fans blew air to fill the balloon. Then, the propane burners were lit, the balloon inflated, and we scampered into the basket. I was stationed near the pilot and consequently, under the burners. The views from above Albuquerque were pretty spectacular. The best part of the flight was surprisingly, the landing. In Albuquerque, balloons are free to land in any public space, even on a public golf course; we landed in a field. The balloon flight was the highlight of my trip to Albuquerque. It’s a must do for anyone visiting. 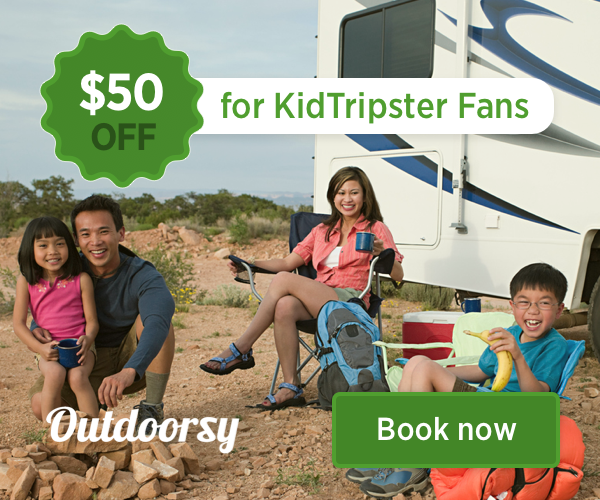 KidTripster Tip: Standing near the burners is blazing hot. I’d actually recommend that you board last, so that you’re positioned away from the flames. The city of Albuquerque is known to serve up some great food, chiefly New Mexican fare. While visiting, I was on a quest to find the best tacos in town. Of all the restaurants that my mother and I visited, I’d say that the best tacos are the ones at Range Cafe. The tacos here feature two fried tortillas, braised beef, spicy slaw, cotija cheese, and ancho chile crema served with arroz verde, black beans, and salsa verde. If I lived in Albuquerque, I’d eat them every week! New Mexico also is known for its chilies. The official state question is “red or green?” referring to whether you’d like red or green chilies. If you say “Christmas,” you get both. Remember, even though the food on the menu may not come with chilies, you always can get them served on the side. I like my food spicy, so New Mexican cuisine and I were a perfect match. Located in Old Town, Hotel Chaco is a pueblo-inspired property. It’s name refers to Chaco Culture National Historical Park, an ancient Native American site northwest of Albuquerque. The architects of the hotel incorporated what they saw at Chaco Canyon into the hotel’s design. The lobby is cool and slightly dark to mimic traditional dwellings. The rooms, however, are modern with great views of Albuquerque. My favorite feature has to be the large pool, a must for escaping the New Mexican heat. My favorite property to stay at in Albuquerque is Los Poblanos Historic Inn and Organic Farm. Poblano is a type of pepper, which recalls memories of the property’s farming past. However today, it’s a working lavender farm. The field rooms are large and well-appointed. From our patio, my mom and I could see the lavender fields and the resident alpacas. The food at the property’s restaurant, Campo, is excellent. Most of the ingredients are grown on the farm. For the complimentary breakfast, you’re given fresh fruit, yogurt, and granola, but I’d recommend adding a side of potatoes. Make sure to add the house hot sauce to your spuds. I liked it so much, I bought a bottle to bring home. Los Poblanos has many family-friendly amenities like the pool and complimentary bikes. 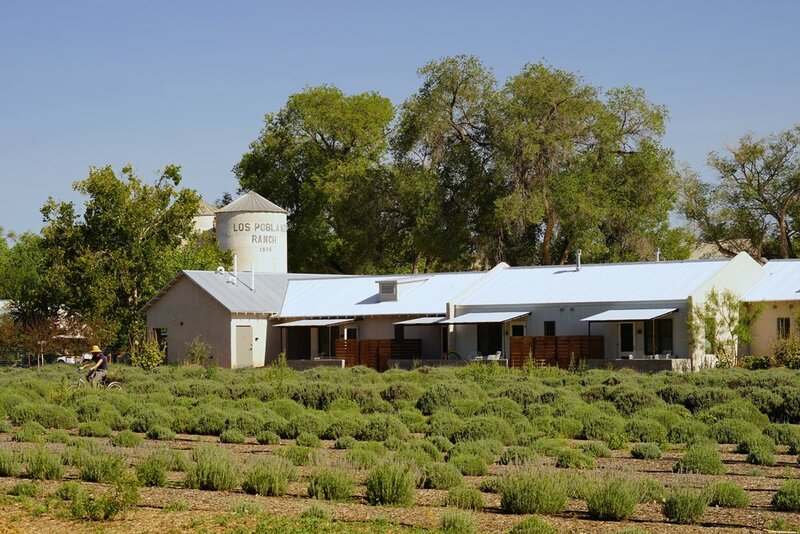 You can ride to the nearby Paseo del Bosque Trail that follows the Rio Grande, or better yet, simply ride through the lavender and agricultural fields. To the east of Albuquerque lies the Sandia Mountains. (Sandia means watermelon in Spanish. When the sun hits the mountains, locals say they look like a giant watermelon.) Take the Sandia Peak Tramway up the mountain in the late evening, just before sunset. The tram takes 15 minutes to reach the top with an elevation of over 10,000 feet. It’s best to go on a slightly cloudy day, as the sky will look even more brilliant. Nathan Shah is headed to the University of San Diego, where he’ll be an honors student studying mechanical engineering. This writer received some complimentary stays, activities, and meals for the purpose of this review. However, all opinions expressed are solely his own.